Pomegranate paradise looks like this: cold winters and hot, dry summers. And the pomegranate tree (Punica granatum L.) offers a lot to love, including brilliant orange flowers, shiny green leaves and that category-of-its-own, red-pink fruit. Whether you consider these plants tall shrubs or small trees, they are without question ornamental, providing color, texture and visual interest in any garden. Pomegranates are lovely and delicious. A pomegranate tree is a bushy plant that can grow to 30 feet in its nature realm, from Iran to the Himalayas in northern India. It was brought to the United States by Spanish settlers in 1769. In cultivation, the pomegranate usually tops out about half that height, but retains its neat, rounded shape built of numerous stiff, spiny branches. The branches are covered with bright leathery leaves that usually fall in winter, although the trees are sometimes evergreen and retain the leaves all year long. Flowers are shaped like small vases and exceptionally showy, an orange-crimson that looks flashy against the foliage. The pomegranate trunk bark starts out as mahogany but matures into gray. Most pomegranates are grown for their fruits, which are completely unique. Pomegranate fruit skin is leathery and a deep pink or red. The fruit is almost round, up to 5 inches in diameter, with a prominent calyx at the base that looks like a crown. The interior of the fruit is sectioned off into compartments by white spongy tissue. Each compartment is packed with small sacs filled with tart, juicy bits of fruit, usually red or pink, with one seed. It is these sacs that are edible and used to make pomegranate juice. Pomegranate trees are long-lived. They can live up to 200 years. If you are thinking of planting pomegranates, the first thing to check is your climate. These trees prefer a semi-arid region with a mild, temperate or subtropical climate. They do best in areas with cool winters and hot summers. In the U.S., pomegranate trees fruit mostly in the southwest, like the drier parts of California and Arizona. If you decide to go ahead and plant pomegranates, select a site in the sunniest, warmest part of the backyard or garden. You can grow them from seed, <ahref="https: www.hunker.com="" 13428830="" how-to-prune-pomegranate-trees"=""> </ahref="https:>but it's faster to buy a young tree. Pomegranates fruit best in full sun, although they grow and blossom in partial shade. 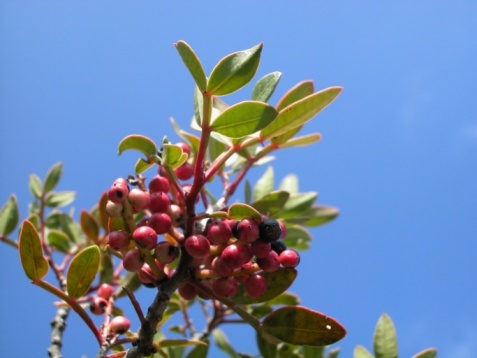 These trees make great landscaping plants, given their appealing foliage, flowers and fruits. Give your pomegranate tree well-drained soil, but ordinary soil or loam is fine, as is rock-strewn gravel. If you've ever raised a citrus tree, you'll know how to irrigate pomegranate plants, because they require the same amount of water. A thorough irrigation at planting is necessary, and you'll want to continue being generous with water for the first growing season. Once the tree roots are established, you can cut back, and the pomegranate can even withstand drought conditions. The tree will be happiest and most productive with 50 to 60 inches of water every year. Irrigate at least twice a month during the dry season. Keeping soil moist can prevent the fruits from splitting. Overhead watering can also be used when temperatures dip to protect the trees from frost and freeze. You'll also want to think about pruning your pomegranate while it is young to shape it properly. Once a tree is productive, pruning can reduce fruit quantity. Belegal, from San Diego, with large, sweet fruit. Cloud, from U.C. Davis, with medium fruit with a green/red color. Crab, from U.C. Davis, with large fruit and tart red juice. Fleshman, from Fallbrook, California, with large, round pink fruit and sweet flavor. Granada, from Lindsay, California, with dark red, sweet fruit. Green Globe, from Camarillo, California, with aromatic green-skinned fruit. Home, from U.C. Davis, with yellow-red fruit. King, from U.C. Davis, with dark pink skin and very sweet flavor. Phoenicia, from Camarillo, with enormous fruit and mottled red/green skin. Utah Sweet, from Utah, with sweet, excellent quality fruit and attractive flowers. Wonderful, from Florida, with deep purple-red fruit, and deep crimson juicy flesh; excellent for juicing.